This book draws together relevant research findings to produce the first comprehensive overview of Indigenous peoples' mobility. Chapters draw from a range of disciplinary sources, and from a diversity of regions and nation-states. Within nations, mobility is the key determinant of local population change, with implications for service delivery, needs assessment, and governance. Mobility also provides a key indicator of social and economic transformation. As such, it informs both social theory and policy debate. For much of the twentieth century conventional wisdom anticipated the steady convergence of socio-demographic trends, seeing this as an inevitable concomitant of the development process. 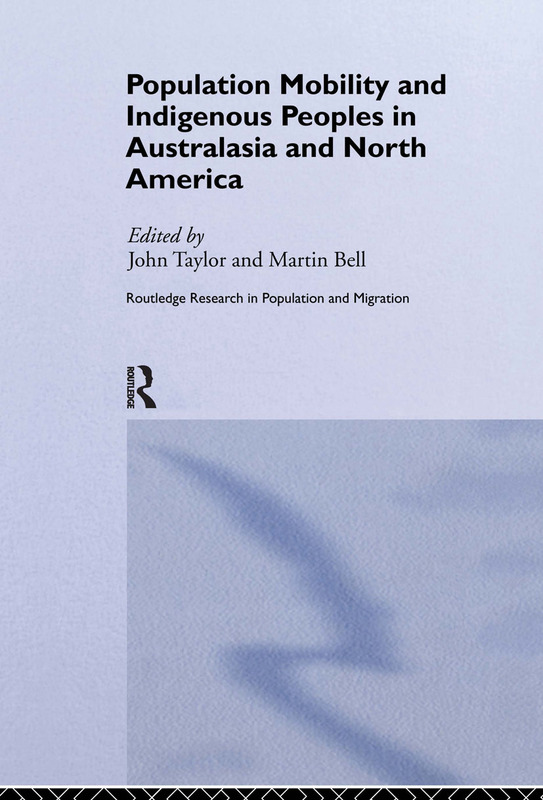 However, the patterns and trends in population movement observed in this book suggest otherwise, and provide a forceful manifestation of changing race relations in these new world settings. John Taylor is a Senior Fellow at the Australian National University's Centre for Aboriginal Economic Policy Research. For the past twenty years his research interests have focussed on the measurement of demographic and economic change among Indigenous Australians. Martin Bell is Senior Lecturer in Geography and Director of the Queensland Centre for Population Research at the University of Queensland. His major research interests focus on population mobility and internal migration, and on demographic forecasting and projection, especially at the local and regional level.